Many factors may favor the development of knee or thumb saddle joint arthrosis. The articular surfaces may be worn by a malposition, it comes to instability and / or inflammation. During treatment, the causes must always be analyzed and, if possible, eliminated. It is always a stage-appropriate therapy, depending on the respective degree of damage of the articular cartilage, to strive for the treatment. That is, an analysis of the causes is the alpha and omega for treatment planning. In many cases it is possible to stop the progression of osteoarthritis by eliminating the causes of the damage. But if that fails, the new fat stem cell therapy can help. A hopeful new method for the treatment of knee joint or thumb saddle joint arthrosis is the use of the body’s own stem cells. Stem cells are all-rounders. They form substances that can stop the inflammatory reactions in the joint and thus the joint pain. And they also have the opportunity to rebuild cartilage tissue. Of great advantage in the case of the fat stem cell therapy is that they have no undesirable side effects, as the previous arthritis drugs. The stem cells are obtained from the body’s own fat, processed immediately and introduced into a small intervention in the affected joint. How does the treatment with stem cells help against osteoarthritis? Osteoarthritis treatment with stem cells from adipose tissue is performed on an outpatient basis at Park-Klinik Birkenwerder. 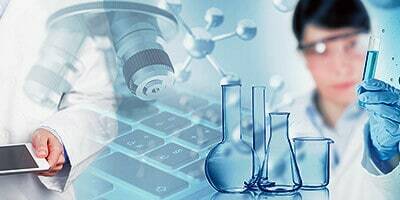 The practitioners are experts in the field of stem cell transplantation. Thanks to the pleasant atmosphere of a private clinic and the safety of a hospital, the Park Clinic provides the ideal setting for the treatment. The procedure is gentle and requires little effort for the patient. Shortly after the fat stem cell therapy, the patient is fit and can resume his normal everyday life. In arthrosis treatment with stem cells from adipose tissue, the stem cells are injected directly into the joint affected by osteoarthritis and develop their specific effect there. An improvement in pain and discomfort is felt shortly after the treatment. A few days may pass before the final effect begins. Which arthrosis is treated in Park-Klinik Birkenwerder? Osteoarthritis refers to aging and wear of the articular cartilage. Causes include normal signs of aging, accidents, constant overwork, obesity and genetic factors. Knee osteoarthritis can cause severe pain, which in turn leads to bad stress. As a result, the wear of the articular cartilage is further accelerated. Modern fat stem cell therapy can break this vicious cycle by alleviating the pain. At best, an operation can be delayed for a long time or even completely avoided. Is it difficult to grab small things or turn your hand in everyday life? Do things sometimes fall out of hand and or hurt your joints? Then an osteoarthritis, ie a wear of the little finger joints or the thumb saddle joint could be behind it. Women are 10 times more likely to be affected by this phenomenon than men. Often the typical symptoms occur in middle age. The new fat stem cell therapy may, in appropriate cases, be an effective method of reducing inflammation of the little finger and thumb joints and relieving pain. Almost all cells of our body have a limited life. Red blood cells, for example, 120 days, the cells of the intestinal lining just a week. The skin is constantly renewed, with hair and nails it is particularly noticeable. Fat cells are not known to have lifespan, probably not more than five years. Stem cells are called progenitor cells, which form in place of a dying cell and replace it. They are distributed with the blood throughout the body and settle in the individual tissues. So far stem cells have been obtained from the bone marrow, but in the beginning of 2000 a researcher discovered that there is a lot more (roughly 1000 times as much) of it in adipose tissue. From the third week the differentiation into different organ systems begins in the human embryo. This produces three so-called cotyledons: the inner, middle and outer leaves. From the middle (“mesenchymal”) cotyledon u.a. Heart, liver, pancreas, nerves and especially the connective tissue with bones, cartilage, muscles, fascia and tendons and with the largest human organ, the fatty tissue. The stem cells, which can be extracted from the fatty tissue by certain methods (enzyme digestion), can then develop to all the cells of the mesenchyme, the middle cotyledon. This option has recently been used in medicine; for example, in joint osteoarthritis. About 75 ml of fat are aspirated, the stem cells extracted from it and then injected directly into the affected joint. The experience with this therapy is very promising; Of course, the joint must not be completely destroyed. There are some cases where it has been proven that a new layer of cartilage has formed. 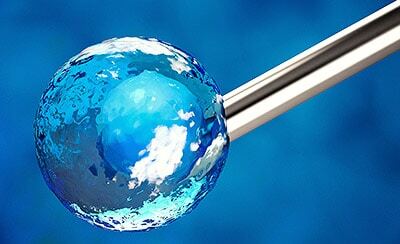 Fat stem cell therapy is a very new field in medicine. There are currently no long-term studies. Through continuous scientific work and clinical studies, the treatment spectrum will expand at breakneck speed. For example, in the area of cancer research, we know that injecting stem cells can reduce the size and progression of tumors by as much as 80%. The results in stem cell treatment of arthritis and bone resorption also show promising results in stopping tissue degradation. For many osteoarthritis patients, who hitherto had little hope of healing, this results in a new, reasonable hope for healing or at least improvement of the symptoms. Rightly there is a debate on ethical principles around the fat stem cell therapy. In particular, this is important when it comes to embryonic stem cells or genetically engineered adult stem cells. Park-Klinik Birkenwerder exclusively uses the body’s own adult stem cells from the patient’s own fatty tissue. A change or cultivation of the stem cells does not take place here. Already after a short, necessary for the treatment cleaning of the stem cells, these can be used immediately therapeutically. The stem cell leaves the body only for a short time and does not remain unnecessarily in a laboratory. How high are the costs? Does the health insurance cover the costs? The removal : For modern fat stem cell therapy, fat cells are removed from the body (liposuction). Extraction: From the extracted fat cells, the therapeutically necessary dosage of the stem cells is obtained directly by the Q-graft® technique. The treatment: The diseased tissue is treated directly with the stem cells derived from fat cells. Every medical intervention, no matter how small, carries with it risks and complications. The risks of a fat stem cell therapy are very low due to the simple procedure. It can occasionally come to infections of the puncture site or bleeding. According to the current state of knowledge, treatment for cell renewal is sufficient if the joints are worn out. For purely inflammatory conditions, multiple treatments may be required. Do you still have questions about stem cell arthritis therapy? We are happy to inform Dr. med. Klaus Ueberreiter and dr. med. U. Tanzella, our specialists for fat stem cell therapy, you individually and personally. Just arrange a free consultation in one of our office hours, we look forward to seeing you! Dr. med. Ursula Tanzella and Dr. med. Klaus Ueberreiter would be pleased to advise you personally.